You can use the Jumpgate to get into the Bytreon Expanse. But beware of Raiders that lurk around the nebula, beware of Rip-off droids for doubling up the fees on using the jumpgate. Choice 1. Pay the fee and use the gate each way you travel. Choice 2. Get the Mega Plasma Cannon and destroy the Docking Station. 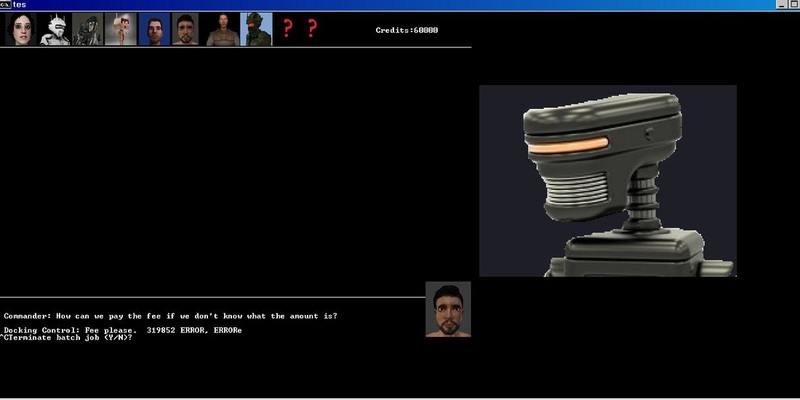 ( The screenshot is from the windows console version of the game.). I write my ideas and concepts of the game in a runnable windows script.